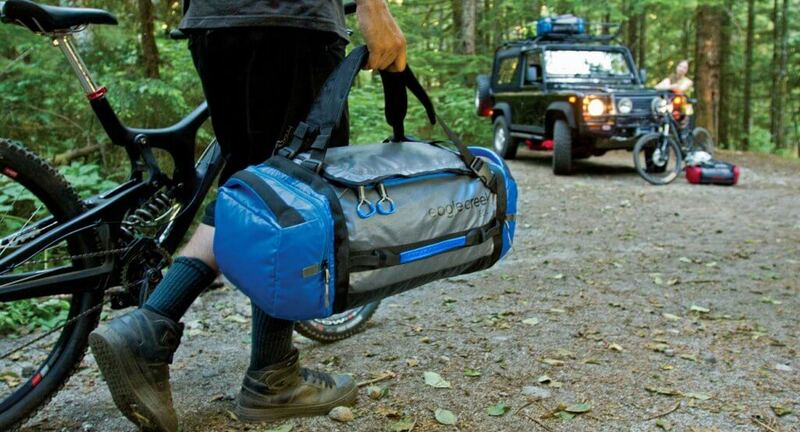 The Eagle Creek Cargo Hauler duffel is tough, lightweight and functional. Crafted from an extra durable, water-repellent coated Bi-Tech Armor Lite fabric, it has a fusion of technologies that merge optimum abrasion resistance with ultra-light carry technology. With a custom bartack reinforcement on all high stress points for efficient schlepping, one can simply lift and carry it by the unit’s removable backpack straps, padded lop haul handles, or convenient side-grab handles. The foam padded bottom helps keep your gear intact while on the road. Access your gear easily via the u-shaped lid and sizeable, zippered end pockets, which are easy to open even if you’re wearing gloves. The unit has 10 lockable zippers and the ability to be packed down into its own front-end zippered compartment. To cap it all off, the Eagle Creek Cargo Hauler duffel features six heavy-duty lash points for attachment to a roof rack. It has a storm-flap shield zipper, made to protect your cargo from the rain.